Stop for a moment, close your eyes and picture the people who helped create Rock N Roll. Did the face of a Black woman come to mind? Because it should. In this edition of "We Speak Her Name", we honor the largely unrecognized genius of Sister Rosetta Tharpe, the Godmother of Rock N Roll. Sister Rosetta Tharpe arrived in this world on March 20, 1915 in Cotton Plant, Arkansas. The daughter of devout Christians, her first foray into music was through the sweet sounds of Gospel. Sister Rosetta began playing the guitar at the tender age of 4 (FOUR YALL! ), adding on drums and piano in later years. Drawing from Gospel, Blues and Jazz, Rosetta's guitar playing was NEXT LEVEL. In fact, her unique guitar sound and musical compositions revolutionized music as we know it, directly inspiring musical greats Little Richard, Chuck Berry, Aretha Franklin, Elvis Presley, Bob Dylan -- to name just a few. Despite great challenges, she led much of her life on her own terms, sharing her genre defying brand of music across the world and even her love with both female and male partners. Yes, a queer, Black woman, born in 1915, helped create Rock N Roll. 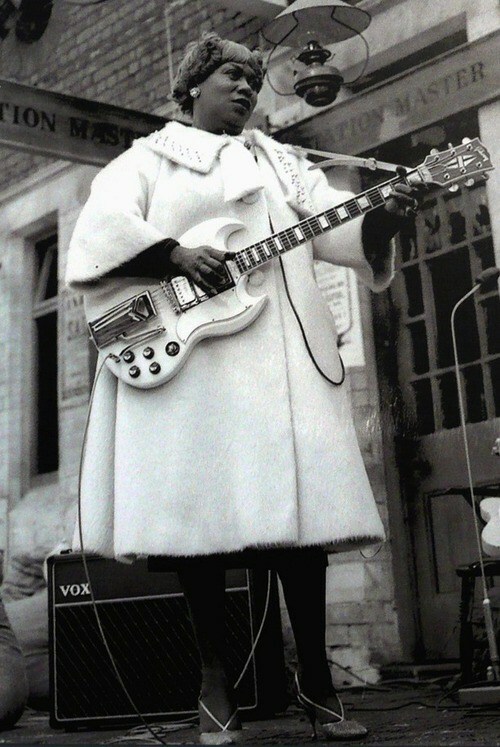 Sister Rosetta Tharpe, thank you for existing. We speak your name. Feeling weary about how often the genius of Black women get erased? We see you and we understand. Be encouraged. Click below for encouragement of the genius in you. Affirmation Letter of the Week: "I Wish I Knew How to Talk to You"